Video’s that are shot handheld or without any tripod or stabilizers can be quite shaky and they ruin the watching experience of the viewers. 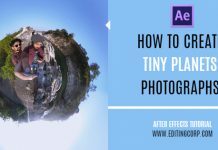 We all want our footage to be smooth since it is visually more powerful than one which is shaky. There are many rigs available on market such as camera stabilizers as they can help you achieve a very smooth shots but they are costly enough and indie film makers like me are unable to afford such stuff. 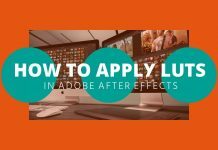 In this article, i will tell you how you can Stabilize a shaky footage during Post production using Adobe After Effects CS5.5. 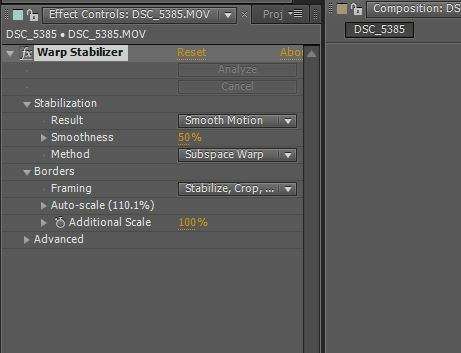 Adobe After Effects cs5.5 or above versions have built in Warp Stabilizer which can actually help you in stabilizing your footage. 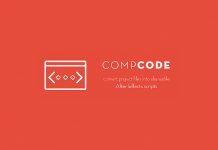 This function is not present in earlier versions of After Effects such as CS5 or version below it. 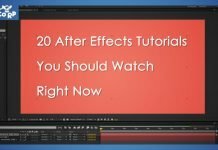 In order to stabilize shaky video, Import your footage inside of After Effects. Now go to Effects > Distort > Warp Stabilizer. 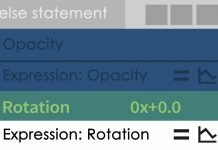 Now under Effects controls panel, you will see that the Warp Stabilizer has been applied on your footage. It will automatically start analyzing your footage frame by frame. Once the analyse process is done, your footage will be automatically stabilized. 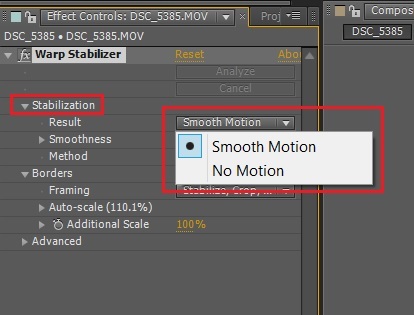 Now under Stabilization, you can use smooth motion to smooth out the movement of the video or no motion to remove any kind of motions from your footage as if it is shot using a tripod. The default smoothness is about 50% but you can change it according to your footage. The more you increase the percentage of smoothness, the result will be a much smoother video by i recommend keeping it at 50% since it gives the best result possible. Leave rest of the settings as it is but you can tweak them and see for yourself the changes it does to your footage. There is also a manual stabilization method which you can use to stabilize your footage. It requires Motion tracking and than using that tracking data to stabilize.